A brief Q&A to learn the basics of hospice care. A Q&A to help you know if home health is for you. 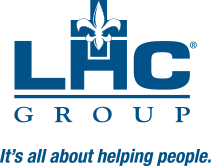 Hear about William “Bill” Brodnax’s journey with LHC Group caregivers and the Spirit Award. Hear how Camella and her family received comfort for her mother through hospice care.